If you’ve been around Pinterest for any amount of time, you know that group boards are an important part of your strategy. However, it’s not always easy to find Pinterest group boards you can join that are highly-ranked, well-maintained, and are appropriate to your niche. It’s a real problem as those poorly maintained, catch-all boards can cause problems for you. They can seriously drag down your profile. It might seem like a good idea at the time because it DOES give you a place to share your pins. But you’d be surprised at how little visibility your pins get on these crap boards. These group boards you can join belong to myself and several clients of mine. They are exactly the types of boards you want to be on. They are focused on a particular topic, they aren’t overpinned because most of them have 5 pin a day limit. And we carefully review each applicant to make sure they are pinning high-quality vertical pins that are consistent with the board topics. Trust me, it makes a big difference. Of course that means that we’ll be reviewing YOU as well, and I’ll be honest, not everyone gets accepted. Sorry, but that’s how the cookie crumbles. Quality over quantity. Each one is going to set up in a similar way because that’s one of the things I teach my clients. Each one will have it’s own Google Doc and they will likely be selling a product or two on the welcome page. I don’t know about you, but I’m all for free enterprise. And it just may be something you want. Or not. I figure it’s like the commercials you need to watch before you get to see the movie. They will INVITE you to join their newsletter, but you can always say no. Then all you have to do is sit back and wait for a possible invitation. Might take a couple of weeks. These are popular boards and it takes time to review each applicant. This category is what I like to call – Everything but the Kitchen Sink! These accounts have group boards for food, travel, parenting, money, business tips, organizing, home decor, Disney, and several other topics. This one is ME – Adrians Crazy Life. This is my lifestyle blog. I have nearly 30,000 Followers and high page views, so these boards will definitely get you some views. Google doc link is shown at the top of each board – don’t forget to Follow me. This is Rachel of Two Loves Studio. She does absolutely stunning food photography and has boards for both food and photography-related topics. As you can see, lots of Followers and we’re working on growing her views. She does have a Google doc at the top of each board and some great photography classes. These are the social media/blogging boards. Everything you ever wanted to share about blogging, social media, affiliate marketing, etc. We’ve got ’em! This is ME again on my secondary account Help for New Bloggers. It’s a brand new account, so not a ton of Followers or views yet, but I’m growing fast. Usual setup with Google docs at the top of each board. This is Angela of AngelaGiles. She’s a hotshot internet marketer and has a growing list of social media/marketing/girlboss type boards. And seven thousand Followers should make sure you get plenty of views for your pins. 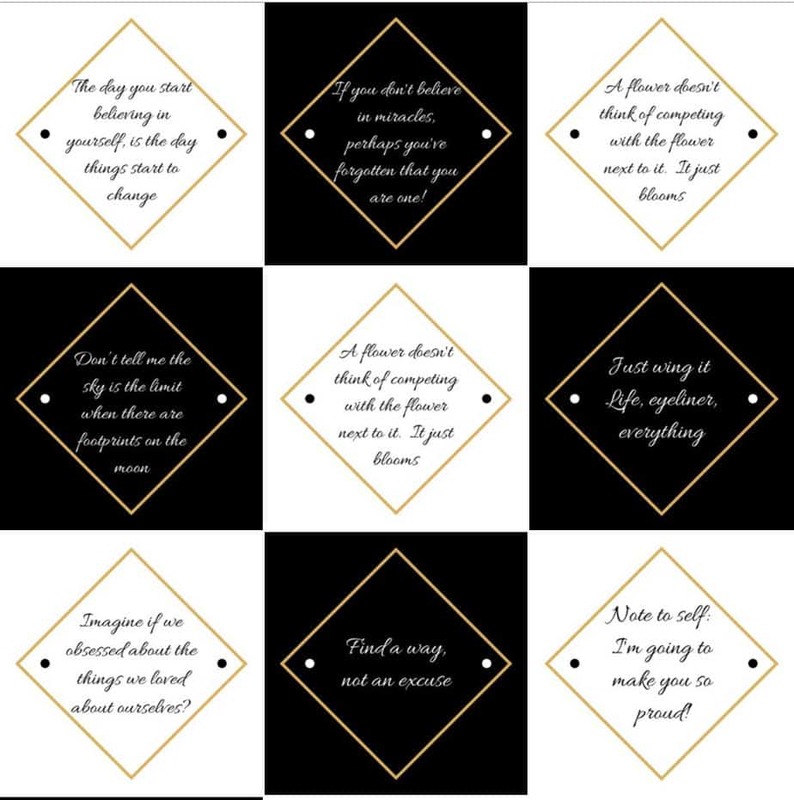 She’s got a Google doc at the top of each board and she *might* be selling some drop dead gorgeous Canva templates (don’t want to spoil the surprise for you). So, there ya go! That’s around 30-35 different group boards you can join or at least have a good shot at. I’d say I delivered in spades on my promise to show you some great group boards. Here are some other Pinterest-related posts you may enjoy. How to create your OWN group boards and why you need them. Great boards. I followed you and a couple of your boards but as much as I tried, I couldn’t find the google docs link to apply. Could please provide it or point to where I can find it on the page? Sorry, you had a hard time finding the doc. Each person boards are different, but I make sure to put the link in the board description. Here is an example from my food board – Every kind of delicious recipe and style of food. #mealplan #cooking #baking #grilling #desserts #maindishes #crockpot #goodeats http://adrianscrazylife.com/group-boards. I just wanted to say Thank You for adding me to your Tailwind tribe the other day. I have accepted and will do my utmost to share all the fabulous content in it. Thanks. I’m glad to have you. Thanks for the information! I’ll be trying these! I would love to join the group board Extraordinary Home Decor on Pinterest. I follow you on Pinterest already. Thanks, but there is a Google doc in the post. You’ll need to go there to apply for any of my group boards. I have an assistant and that’s what she works from.